Posted on 19th March 2019 at 11:04 am. Foam shockpad underlays are often used in artificial lawn installation for a number of reasons. They provide a soft feel underfoot and help to cushion the impact of trips and falls. If you are installing artificial grass to an existing surface, such as concrete, foam underlays can also help to prevent undulations from being visible through the turf. Before buying your artificial grass, you may be considering using a foam underlay underneath your turf too. And the chances are you will have questions. That’s why we have put together this Q&A article, which includes the most commonly asked questions we get here at NeoGrass regarding our foam shockpad underlay. If you have a question which we haven’t included on our list, then let us know in the comments section at the bottom of this page and we’ll add your question, along with the answer. Let’s start with the reasons many of our customers choose to install a foam underlay underneath their artificial lawn. Why install a foam underlay? You want your artificial grass to have a soft feel underfoot. You want additional protection from slips and falls. 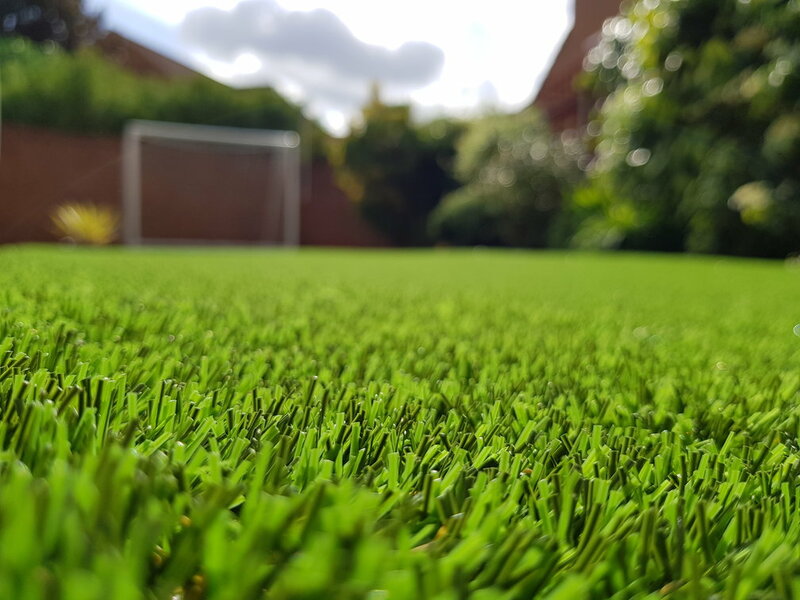 You intend to install artificial grass on to an existing surface, such as concrete, decking or paving – the foam will prevent undulations from being visible through the fake turf. Your artificial lawn needs to comply with the Head Injury Criterion (HIC), such as in a school or public playground application. It can make the artificial grass process quicker and easier. 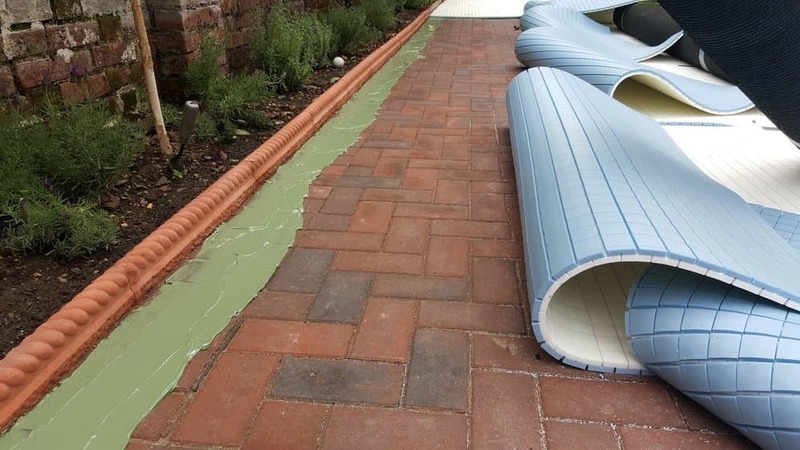 For further information, please read our article: ‘Should You Install A Foam Underlay Underneath Your Artificial Lawn?’. Is using a foam underlay essential? For standard artificial lawn installations, for example replacing an existing lawn, installing a foam underlay is not essential. The only exception to this would be if you were installing to an existing hard surface and you did not want to see undulations from the existing surface through the grass. For example, if you were to install fake turf directly on top of decking, you would be able to see the outline of the boards through the turf. Installing a foam underlay prior to laying the turf absorbs the undulations, preventing them from being visible. What thicknesses of underlay are available? We stock both 10mm and 20mm shockpads. The level of softness required. If there is any risk of falling from height. How pronounced undulations in the existing surface are. Of course, a 20mm foam underlay will be softer and provide a greater level of protection than a 10mm foam. We’d recommend requesting our free samples to help you decide. 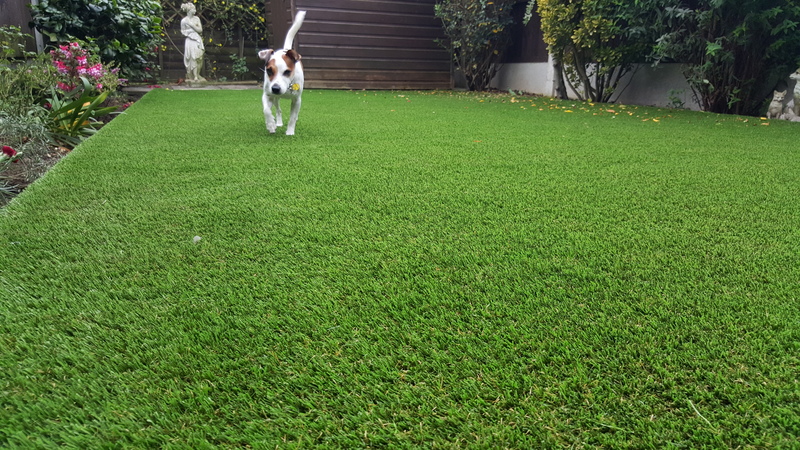 For further help, please see our guide: ‘Artificial Lawn Shockpads: How to Choose the Best Thickness for Your Lawn’, or you can contact us here or call us on 01245 931200 during normal office hours. I have a dog; can I still use a foam underlay? Yes, you can. Our foam underlays are more than capable of withstanding regular use from dogs and pets. My kids will be using the lawn to play football on, will it need a foam underlay? No, you wouldn’t need a foam underlay at all. Playing football on top of artificial grass without an underlay is perfectly fine. A foam underlay would help to cushion the impact of trips and falls, though. Will water be able to drain through the foam underlay? This depends on the type of foam used. 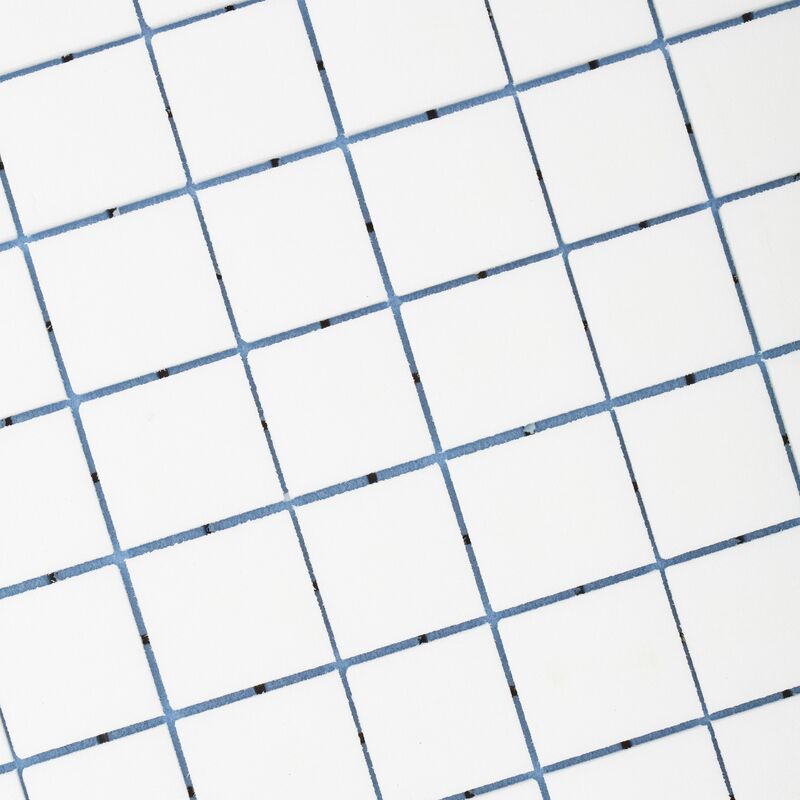 All of our products are permeable and allow water to freely pass through the drainage slots. Some types of recycled foam, however, tend to absorb moisture and smells, and should be avoided. We’d recommend requesting samples and testing for yourself the permeability of the foam, by pouring water over the sample. How do I install a foam underlay? That depends upon the surface you are installing it to. For a typical lawn installation, we’d recommend securing the foam to your perimeter edging with either nails or Aquabond adhesive. It will need to be laid on a properly prepared sub-base and laying course, as set out in our standard artificial grass installation guide. Any joins between the foam can be secured using duct tape. You can also secure the foam using galvanised U-pins. If you are installing directly to an existing surface, such as concrete or paving, the foam can be secured using adhesive, which is purchased in 5kg and 10kg tubs. For further information, see our concrete installation guide. The foam can be secured to decking using decking screws. 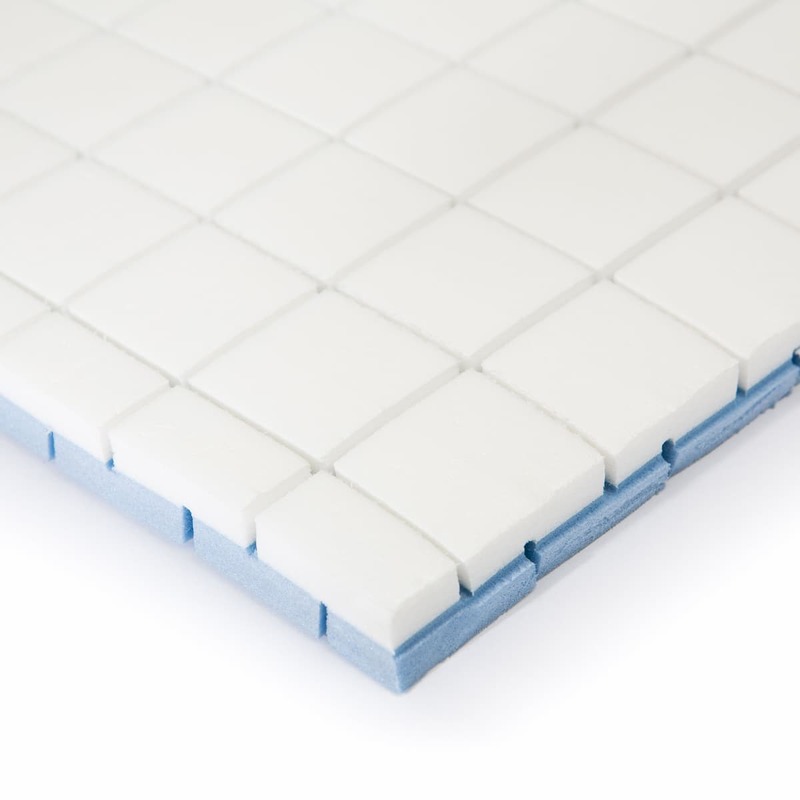 How are foam underlays supplied? Some are available in tile format, other types can be purchased in rolls, with various widths and lengths available. Our 10mm underlay is available in a 2m width, up to 100m in length; 20mm underlay is available in 1.5m widths, up to 50m in length. We cut can any size that you require. Where can I buy a foam underlay? You can buy 10mm foam underlay and our 20mm foam underlay from our online store or call us on 01245 931 200. How long will the foam underlay last for? Artificial lawns normally have a lifespan of somewhere between 10 and 15 years, but some can even last up to 20 years. 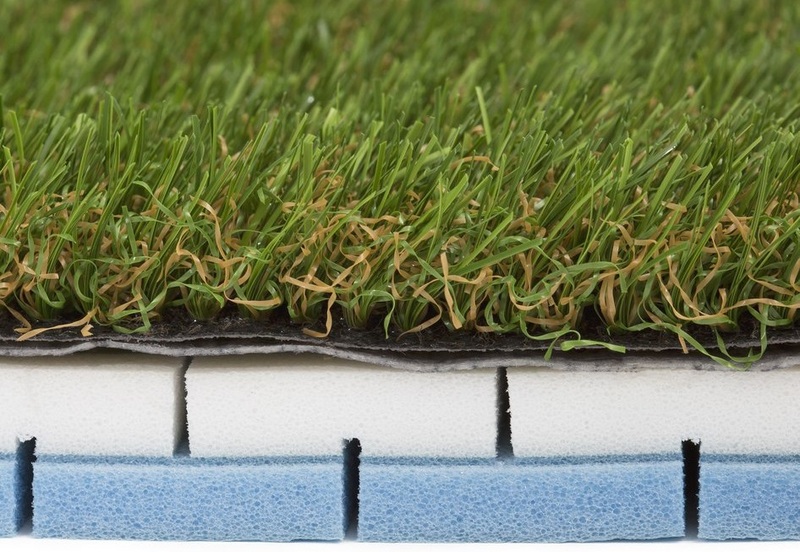 If installed correctly, your foam underlay will likely outlast your artificial grass. We’ve tried to answer as many of the main questions you have regarding artificial grass underlays. However, if you have a question that we haven’t answered here, be sure to leave it in the comments section below – we’ll do our best to answer any queries you may post. Alternatively, you can call us on 01245 931 200 and speak with our friendly advisors, who can help you choose the best foam underlay to suit your needs. And don’t forget to request your free samples too! We would like to use the artificial grass over the flat roof of an extension. This is over habitable rooms and outside the first floor bedroom. Can the foam be laid over waterproofing membrane on a 1deg incline for drainage of surface water? You would be fine to lay the foam over the waterproofing membrane but bear in mind that it is normally glued down around the perimeter edges so you would need to check with the glue manufacturer that the glue would be suitable for the type of waterproof membrane.